Many of us dislike change, but sometimes it’s positively essential, no matter how much we may dread it. However, if we approach it with an open mind, a willingness to examine why we resist it and a spirit of cooperation to see the process through, making alterations and adjustments need not be as daunting as we believe it to be. 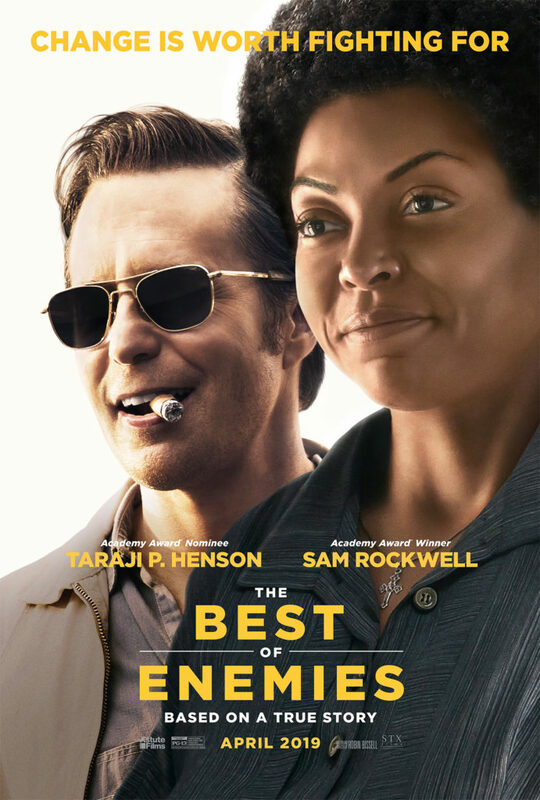 Such was the case for a group of seemingly immovable citizens who wrestled with this question in the inspiring new fact-based drama, “The Best of Enemies” (web site, trailer). Confronting the unknown can be a scary prospect, no matter how much we might try to put up a brave front. But, when the apprehension is stripped away, in nearly every case like this, the fear comes from a lack of knowledge, a failure or inability to understand what makes others different from us. This can create a major source of discomfort, one that often is perpetuated and strengthened over time. So, if we ever hope for change, we must come to understand these circumstances, especially those whom we consider our adversaries. However, once we understand this, it should also be apparent to us that such situations are made – and are equally capable of being unmade, transformed into different configurations, including those that seem more familiar and don’t prompt the feelings of anxiety that can become cemented in our consciousness and, subsequently, in the circumstances before us. Knowing that, then, we’re never locked into an intractable, unchangeable situation unless we specifically choose to be. Intentionally taking steps to learn about what distresses us can thus open us up to new possibilities, ideas we may have never previously considered. This is precisely what happened among Blacks and Whites in Durham, especially in the lives of the two protagonists. Ellis came to see that the Black community was made up of human beings, in many ways just like the White community. And Atwater gradually realized that Ellis was not the devil incarnate, that her adversary had traits that made him just as human as those in her community. 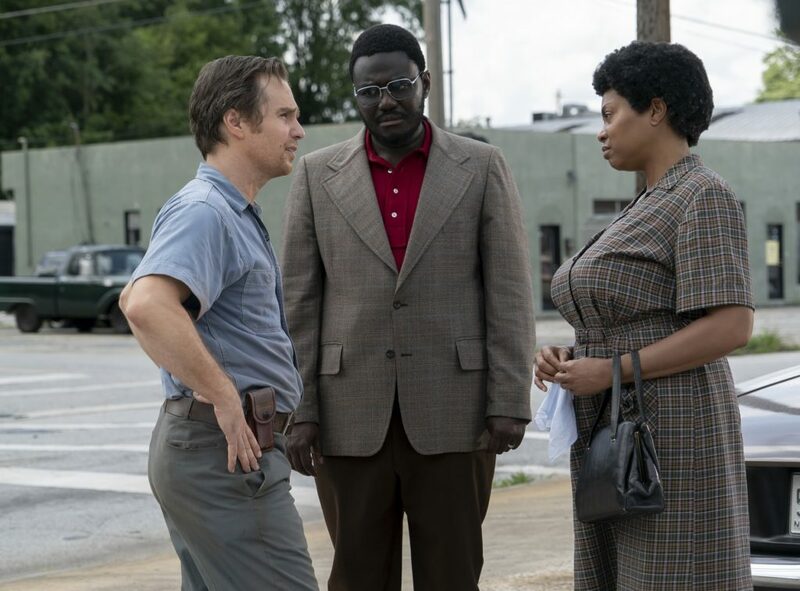 It took some time for these realizations to fall into place, but, by spending time working together and seeing one another up close, an understanding took root that subsequently changed the reality that each of Ellis and Atwater experienced. What Riddick, Atwater and Ellis were able to achieve shows how radical change, no matter how outlandish it may initially seem, is indeed entirely possible, as long as we leave ourselves open to the possibility, something that begins with us. It’s interesting to note how the process of change can take on a life of its own once it starts to be implemented. For example, in this case, this process began with finding a school for the students displaced by the fire. But, once the charrette participants started examining the students’ circumstances, they discovered there were more problems than finding a new place for them to attend classes. They learned that the students in the Black school were lagging behind their White counterparts due to such problems as using outdated textbooks and following inadequate curricula. Once revealed, these issues became fodder for other shortcomings to be addressed and corrected through the charrette’s deliberations. Had the fire not occurred, these problems may have persisted much longer without resolution. Scenarios such as this often tend to extend to issues that go beyond simply what’s most at hand, encouraging us to dig deeper, to take more probing looks at what’s happening and why. This can be quite revelatory and transformative, leading to all manner of previously unconceived possibilities, such as the fact that, as unlikely as it may seem, Atwater and Ellis became life-long friends in the wake of their charrette experience. Now that’s change. Peace of mind can be elusive, especially when we feel overwhelmed by everything happening around us – or to us. As the pressure mounts, we may begin to feel ourselves fraying at the edges as the stress creeps deeper and deeper into our being. And we can only tolerate these circumstances for so long before they finally take a toll on us, leading to anxiety or weariness and possibly even a meltdown. 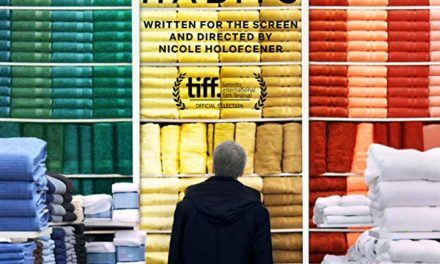 So it is for an overburdened actress seeking to keep it all together in the manic Brazilian farce, “Neurotic Quest for Serenity” (“Transfornada Obsessiva Compulsiva”), now available on video on demand (web site, trailer). Kika K (Tatá Werneck) feels like she’s coming apart at the seams. The popular Brazilian telenovela star tries to manage a full plate of commitments, a challenge made difficult by her hyper-aggressive agent, Carol (Vera Holtz), who constantly books her client for acting and publicity gigs, sometimes without informing her until the last minute. But, if that weren’t bad enough, Kika also suffers from OCD, as well as an overactive imagination and vivid dreams, all of which have started sneaking their way into her perceptions of everyday reality. Kika realizes she must get a handle on her life, but she has no idea how. It’s a frustrating conundrum made comically ironic by Carol’s surprise announcement that she’s arranged for her client to participate in a promotional tour for a self-help book that bears her name, a title of which Kika was completely unaware, penned by an enigmatic ghost writer (Pedro Wagner). In addition to all her other responsibilities, Kika must now prepare for book signings and media appearances, such as a guest spot on a TV talk show featuring popular celebrity host Ana Juliana (Luciana Paes), to plug a book about which she knows virtually nothing despite the presence of her name on the cover. To complicate matters, Kika must also contend with other challenges, such as the constant advances of her oversexed co-star, Caio Astro (Bruno Gagliasso), the incessant stalking of an obsessed, portly fan, Felipão (Luis Lobianco), and the conniving sniping and machinations of a rival actress, Ingrid (Ingrid Guimarães). Considering all this, it’s a wonder she’s been able to hold things together as well as she has for as long as she has. Things reach a tipping point, however, when Kika loses it at a book signing. Fortunately, a milquetoast-esque bookstore employee, Vladimir (Daniel Furlan), comes to her rescue, a kindly gesture that she’s not especially appreciative of at first. But, once she starts coming to her senses, Kika realizes she’s found an unlikely knight in shining armor, one who sets her on the path of sorting out her life. Of course, given all the challenges she’s been facing, the road to serenity going forward continues to be riddled with potholes that make her journey an odyssey full of adventure and lunacy. 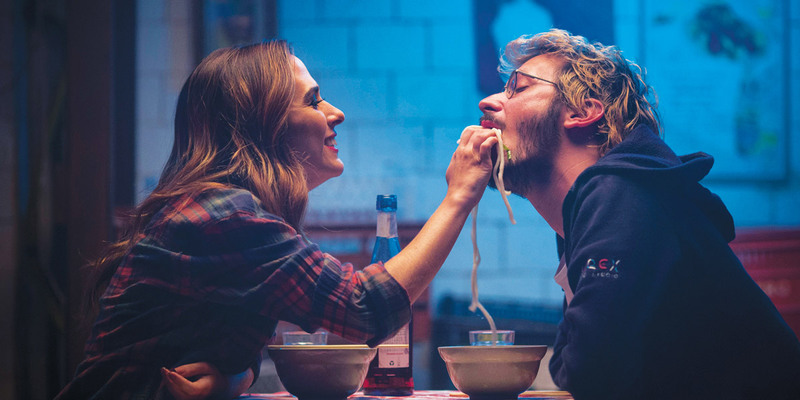 Telenovela star Kika K (Tatá Werneck, left) seeks solace from the craziness in her life with introverted bookstore employee Vladimir (Daniel Furlan, right) in the Brazilian screwball comedy, “Neurotic Quest for Serenity” (“Transfornada Obsessiva Compulsiva”). Will Kika achieve the tranquility she seeks? That remains to be seen. But, if it’s to happen, she needs to make some changes to reshape her reality, all of which start with her. But how does she proceed? Why has she purposely drawn to herself an existence like the one she’s experiencing? As I’ve written in the past, what we specifically attract is up to each of us; our reasons are our own, and they’re really nobody’s business to question. We can speculate about what’s involved, though, in most cases, our experiences are generally related to learning specific life lessons, and Kika is no exception. When the foregoing is taken into consideration, it’s apparent that much of what Kika is going through is related to the management of her personal power. In creating the career she’s built for herself, she’s obviously been quite successful in tackling her professional accomplishments. 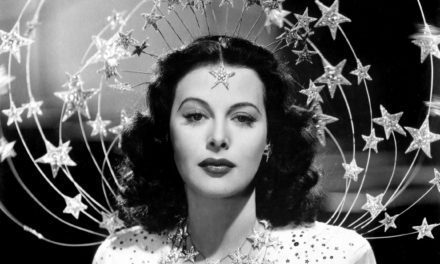 She’s given herself the attributes needed to attain that, such as acting talent and physical beauty, and those qualities have placed her in great demand (witness the advances of her co-star and her stalker, the many producers eager to hire her, and, in its own way, the jealous glaring of her rival). Based on this, Kika has apparently done quite an effective job at managing her power-related beliefs in this area. But what accounts for the rest of her life? She’s so put upon by the other influences that she’s overcome by them and in danger of sinking fast. This comes from giving away one’s power, a commodity that Kika desperately needs to retrieve if she doesn’t want to be consumed by these vampiric elements in her life. Her experience thus shows us what it means to go through an ordeal like this. Of course, Kika won’t know what it’s like to get her power back unless she creates the opportunity to engage in such an experience (hence the mayhem that surrounds her). She also benefits from the assistance she receives from having a grounding influence in her life, something that accounts for Vladimir’s presence. Even though he has challenges of his own to contend with, he helps Kika get her groove back. Part of the reason why Kika lacks the serenity she seeks is that she’s personally unsettled about what she really wants. This would account for her overactive imagination, vivid dreams and OCD, all of which reflect her scattered mindset and rampant indecisiveness, as well as her inability to settle on what she most wants to pursue. Whittling down her options and eliminating the possibilities she sees as unrealistic are essential, but certainty in this regard is unlikely unless she’s willing to make an earnest effort. This insanely hilarious search for the meaning of life plays like a cross between “Hector and the Search for Happiness” (2014) and “Welcome to Me” (2014). This screwball comedy moves along at a break-neck pace from the outset and never lets up with its outrageous, off-the-wall humor and bizarre, colorful visuals. This directorial feature film debut from Paulinho Caruso and Teodoro Poppovic won’t appeal to everyone, but, for those who like their comedies with an edge, this one is definitely for you. What a wild ride it is! Life can be funny, but sometimes it’s no laughing matter. Finding the right balance between the two makes for a happy (and fun-filled) medium. That’s perhaps one way of looking at each of our personal quests for serenity. But let’s hope the search includes beliefs that are amendable and manageable – and by no means neurotic. Some things are worth waiting for until the time is right. In some cases, that may mean waiting for a very long time. But, when the wait involves seeing a legendary artist at the peak of her career, it’s possible to overlook the delay. So it is with the long-awaited release of the historic performance piece, “Amazing Grace” (web site, trailer). In 1972, Aretha Franklin (1942-2018), the Queen of Soul, was at the top of her game. Having recorded a string of hits, such as “Chain of Fools” and Respect,” she had one of the most recognizable voices in the music business. But, when Aretha changed record labels, she also made a change in direction artistically. She decided to leave behind her signature soul and R&B recordings, opting instead to go back to her roots — gospel music. Having grown up the daughter of Baptist minister Rev. C.L. Franklin, Aretha began her musical career singing gospel in her father’s church in Detroit, so she was by no means a stranger to the material. In bringing this project to life, Aretha selected an array of traditional favorites, as well as contemporary numbers reworked for a gospel format, teaming up with Rev. James Cleveland (1931-1991), widely acknowledged as the King of Gospel music. Joined by Aretha’s band and the Southern California Community Choir under the auspices of choral director Alexander Hamilton, the duo chose to record the album live at Cleveland’s parish, the New Bethel Baptist Church in the Watts neighborhood of Los Angeles. 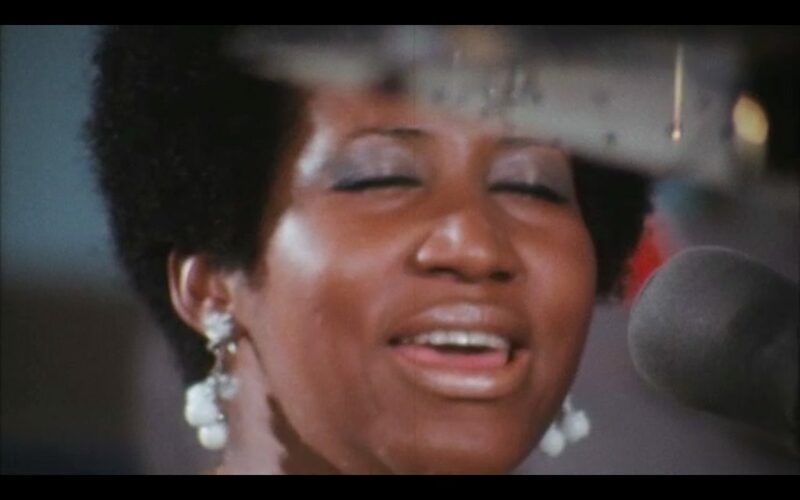 Aretha Franklin, the Queen of Soul, took a drastic artistic turn in her career when she recorded an album of gospel music in 1972 as seen in the recently released documentary, “Amazing Grace.” Photo courtesy of Neon. This project was special, and several aspects set it apart from others like it. For starters, the album was recorded before a live audience over the course of two evenings, making the event as much a concert as it was a recording session. But, more significantly, the performance was to be made into a documentary by acclaimed filmmaker Sydney Pollack (1934-2008), who had recently received an Oscar nomination as best director for “They Shoot Horses, Don’t They?” (1969) and who would later go on to direct such pictures as “Absence of Malice” (1981), “Tootsie” (1982) and “Out of Africa” (1985). The event drew large, lively audiences, including a few familiar faces, such as Rolling Stones front man Mick Jagger and gospel legend Clara Ward. 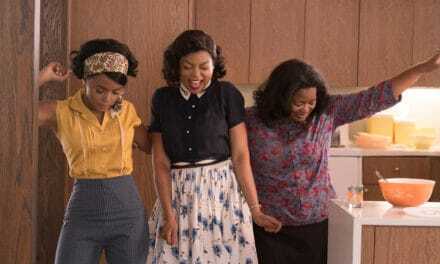 And Aretha’s performance was truly outstanding, showing the breadth of her talent and versatility. She turned in brilliant performances of such selections as “On Our Way,” “Never Grow Old,” “Wholy Holy” and the album’s title cut, “Amazing Grace.” The sheer strength of the music made the LP a noteworthy release, one that would go on to become the best selling gospel album of all time. With Rev. 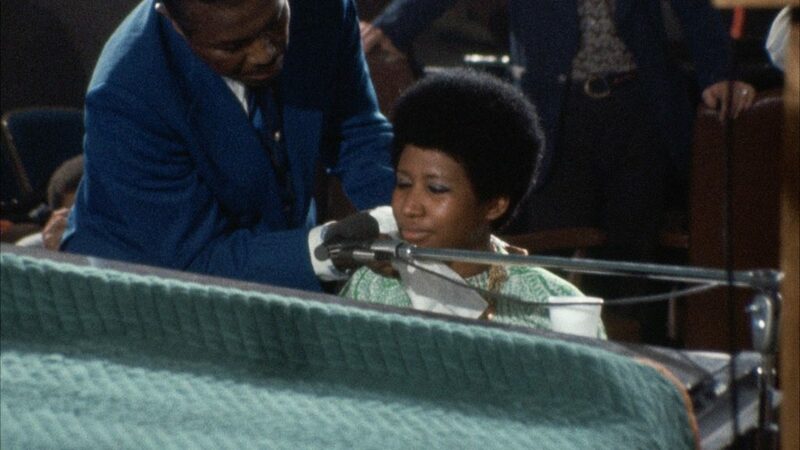 James Cleveland (left), the King of Gospel music, by her side, First Lady of Music Aretha Franklin (right) performs one of many numbers inspired by her musical roots as seen in the recently released 1972 documentary, “Amazing Grace.” Photo courtesy of Neon. Unfortunately, the quality of the film didn’t match the quality of the music. Technical difficulties prevented a proper synchronization between the images and sound. It proved to be a major disappointment, one that prompted Pollack to nearly pull out his hair during the picture’s post production. It caused the film’s release to be postponed, and eventually shelved, until decades later, when new technology came along to correct the deficiency. 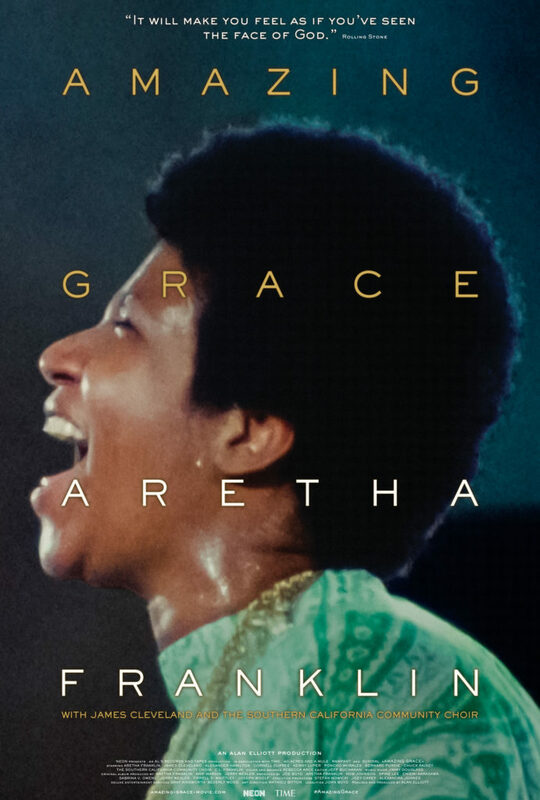 And so, in late 2018, “Amazing Grace” finally made its debut, playing at a number of film festivals before going into its current general release. 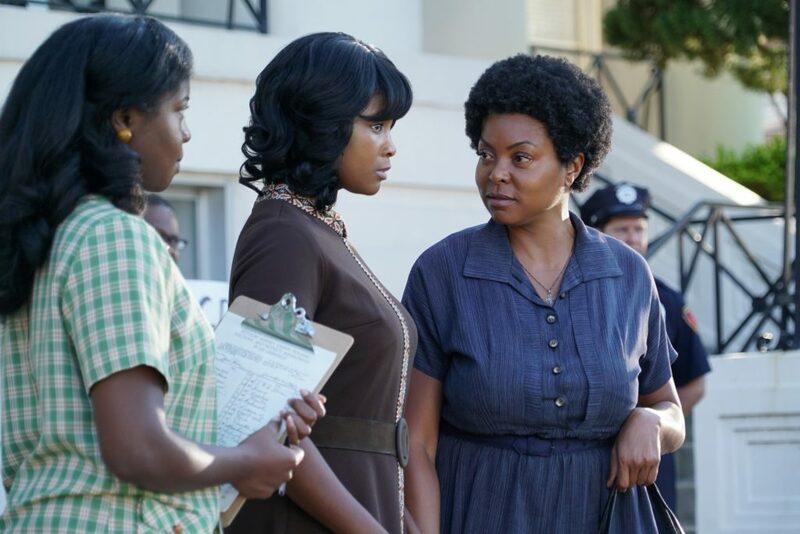 This film is indeed revelatory in many ways, by all accounts an important piece of music history, and the First Lady of Music doesn’t disappoint. However, while the picture is indeed somewhat typical of concert films of the day, its raw, spontaneous nature unfortunately comes across as somewhat dated, and even amateurish, by contemporary standards. Unfocused cinematography, choppy editing and occasional inconsistent sound quality problems hamper the flow of the film, material quite surprising from a director as accomplished as Sydney Pollack. 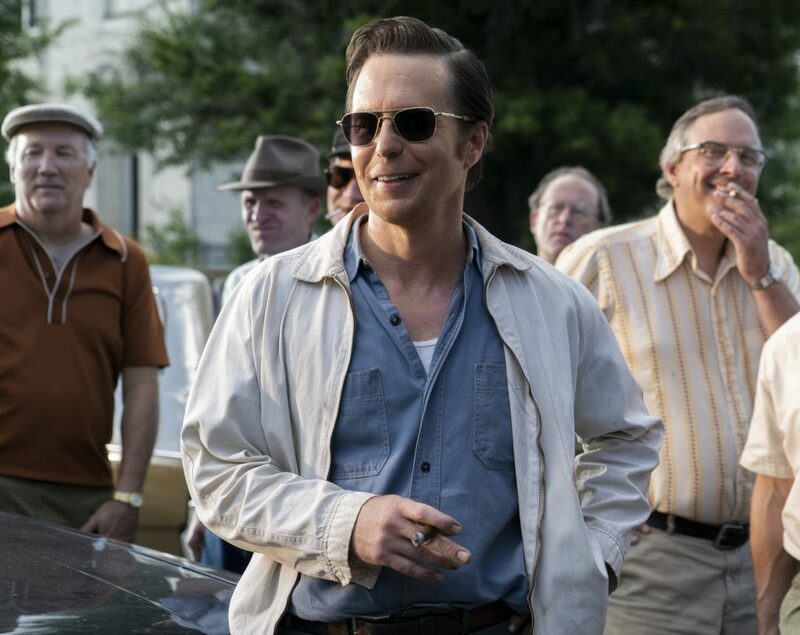 In light of that, then, I recommend seeing this one for the Queen’s superb performance, but don’t be surprised – or disappointed – by the rest of it. 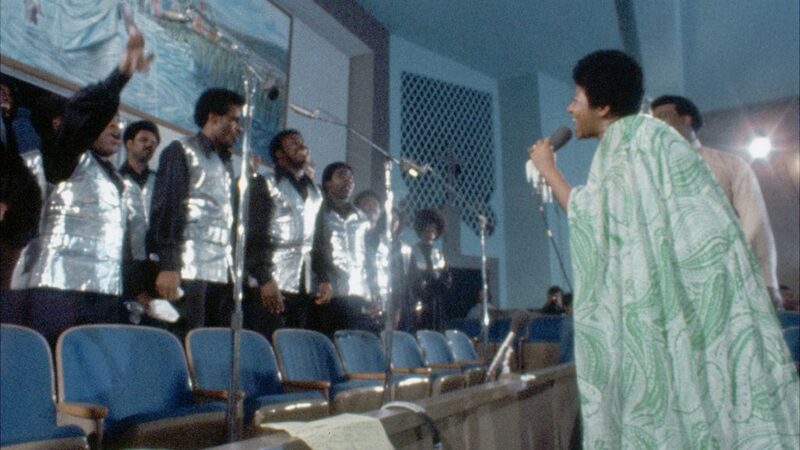 Performing with the Southern California Community Choir, Queen of Soul Aretha Franklin (right) belts out one of her rollicking gospel music numbers in director Sydney Pollack’s 1972 documentary “Amazing Grace.” Photo courtesy of Neon. Watching a musical icon giving an iconic performance can be quite a moving experience, as evidenced by the reactions of some of this film’s audience members. Witnessing someone work her magic by freely breathing in the spirit that drives her can stir the soul of anyone present, and that indeed is what Aretha did when she sang. We were fortunate to have her among us for so many years. And, thankfully, we still have records of her artistry to remind us of what a gift she gave to us – and to the world.